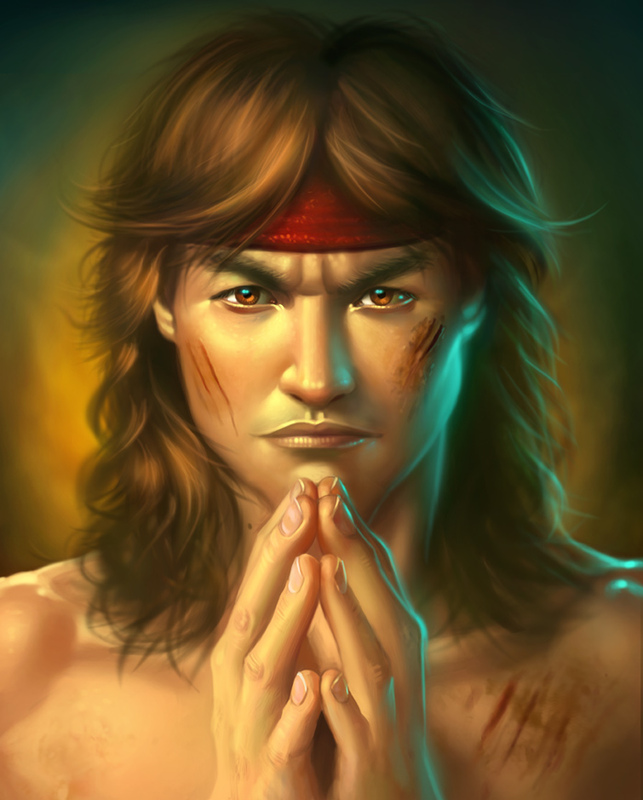 This is a portrait of Liu Kang from Mortal Kombat. I'm a huge fan of the games so this was a lot of fun to paint; I plan on doing a bunch of paintings based on the main characters as well. This painting is also a tribute to Bruce Lee, who I find very inspirational and whom the 'Liu Kang' character is based on as well. For reference I looked at some pictures of Bruce Lee and the actor from the first film, as well as some photos of hands to help make this as realistic as possible. Overall I'm very satisfied with how this piece turned out.